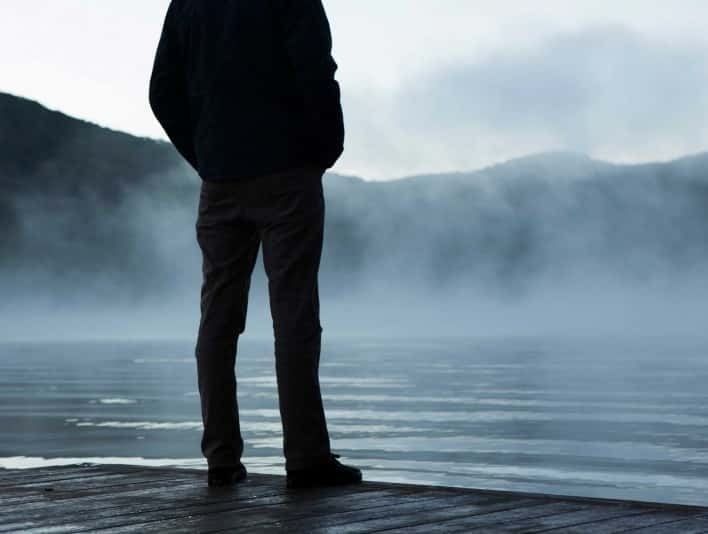 This is a colour photo of a man standing on a wooden deck out over the lake which is covered in a deep fog. The background is framed with mountains covered with a green forest and a cloudy sky, he stands on the deck with his hands in his pockets — an indication that it is a very early and cold part of the day. Slight ripples can be seen in the water at the man’s feet.